Podcast Winterfell 126: A Storm of Swords 16 – Spoilers! Spoiler alert. This podcast WILL spoil Seasons 3 and 4 of Game Of Thrones, and TV viewers should avoid this podcast unless they wish to be spoiled of events in the future of the TV show. Otherwise Matt is joined by Bubba (@fittentrim) of The Joffrey of Podcasts, and Josh (@dangerjosh) to discuss the chapters Tyrion VIII, Sansa V, Jamie VII, and Davos VI from George RR Martin’s A Storm of Swords. 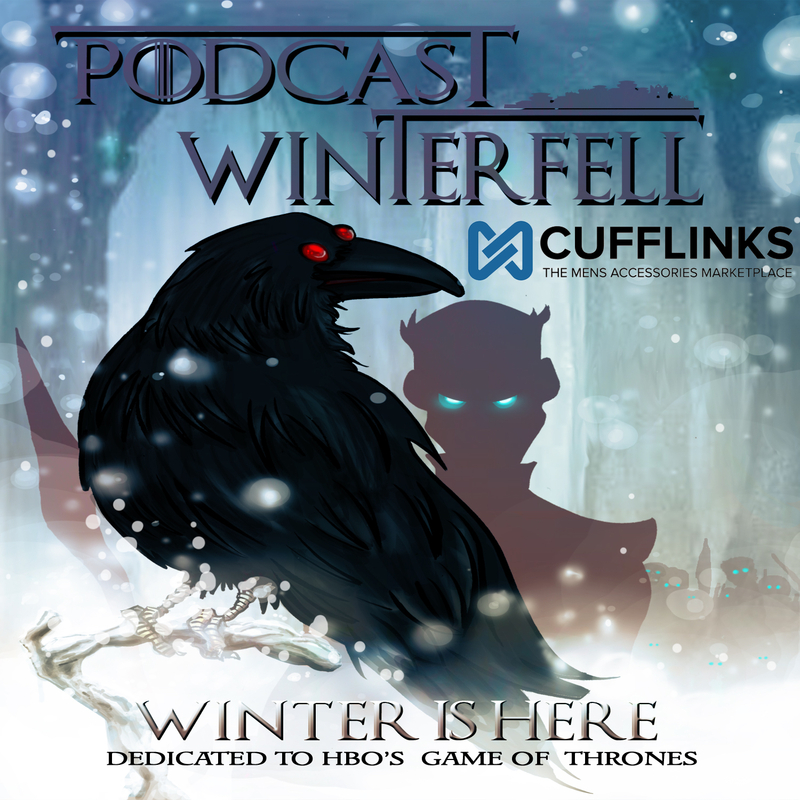 Find all social media and podcatcher store links, and back episodes at podcastwinterfell.com or submit feedback by sending e-mails to podcastwinterfell@gmail.com or by leaving a voice mail at 314-669-1840. Podcast Winterfell 125: A Storm of Swords 15 – Spoilers! Otherwise Matt is joined by Josh (@DangerJosh) and Bubba (@fittentrim) from The Joffrey of Podcasts to discuss the chapters Bran IV, Daenerys V, Tyrion VII, and Sanas IV.